I really enjoy doing interviews via podcasts. Especially because typing and editing written interviews can be quite time-consuiming. 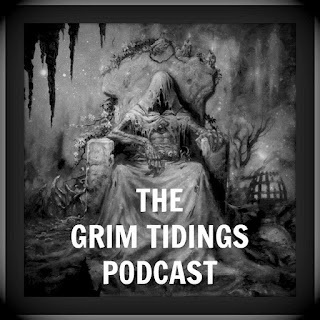 Recently the guys over at Grim Tidings Podcast had Robin and myself on the show to talk about a wide range of topics including Kickstarters, hybrid authorship, how we picked T.C. Powell's short story to be included in The Death of Dulgath and a whole bunch of other things. I was honored by the flattering intro they put together. And they are graciously having Robin back in the near future to discuss Goodreads in more detail. If you like the interview, checkout the site for conversations with other authors such as: Anthony Ryan, Mazarkis Williams, Sebastien de Castell, Kameron Hurley, R.A. Salvatore, Tim Marquitz, John R. Fultz and many more. Thank you so much for sharing this wonderful post.